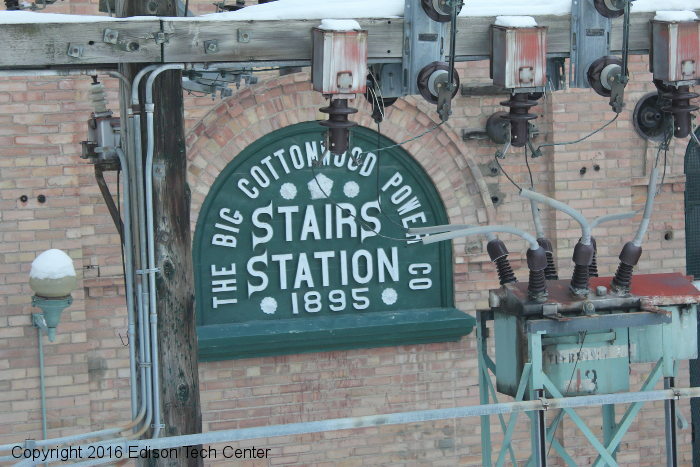 If you find yourself in Utah for skiing or other business and you love Electric Power history like we do, we recommend you take a short trip up to the Stairs Station Hydroelectric Power Plant. 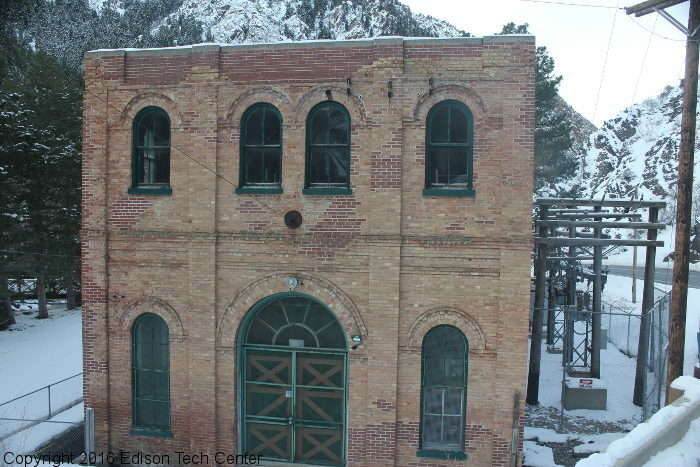 While the Salt Lake City area is most famous for Little Cottonwood Canyon, this power plant from 1895 is located a few miles north in Big Cottonwood Canyon. 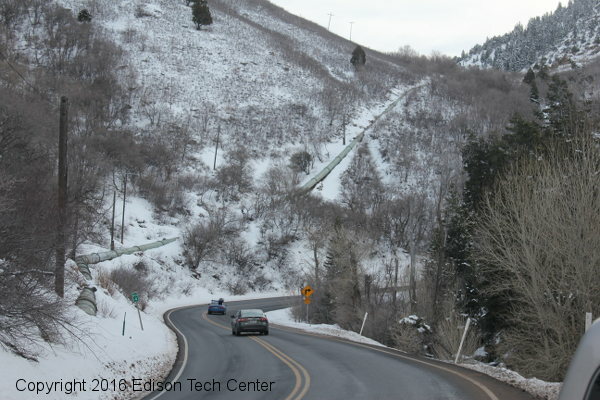 While you cannot get a tour of the facility it is interesting to check out on your way up to the scenic Guardsman Pass. I was intrigued by the 1895 date which is the same year many great AC hydropower plants were built across the US. The 1895-1896 period represented a time of growth because of a number of factors. The 1880s was a rough time when we didn’t know which standard would prevail: Thomson or Stanley’s single phase AC? Tesla’s two-phase AC? Bradley’s three-phase AC? or would HVDC come out on top above AC? By 1891 the War of Currents was over when Dobrovolsky demonstrated a complete three-phase AC system in Frankfurt Germany. Over the next few years Charles Steinmetz, Elihu Thomson, Benjamin Lamme, Oliver Shallenberger and many others solved problems and battled or made bids for leading edge patents. 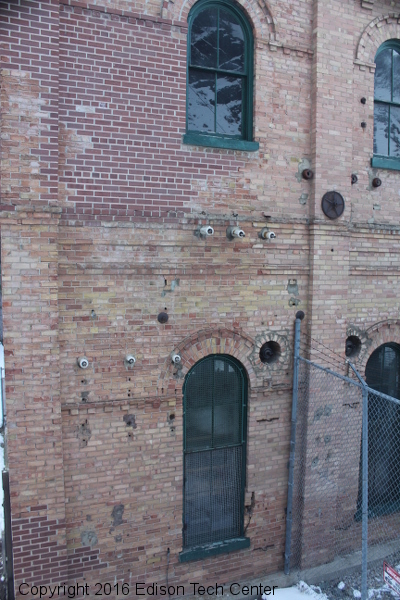 The 1893 Redlands Power Plant was a chance for GE to test and develop its three-phase system. Westinghouse was engaged in not the first, but the largest hydroelectric project in history with Niagara Falls. The Stairs Station was built in the same year as Niagara Falls, Folsom and Oregon City Fall’s landmark plants. 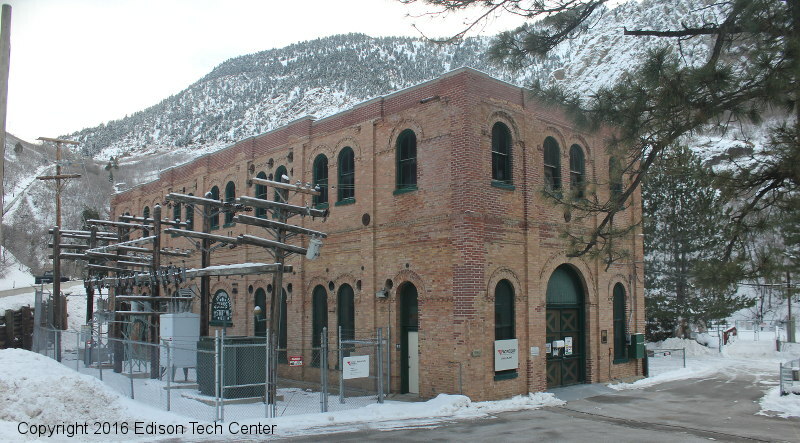 The Stairs Station was built by Utah Power to run electric trolleys in Salt Lake City which was only a few miles away. In this way this small station was different from most being built in the West at the time. 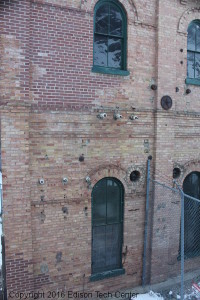 Most small power stations were built to serve mining operations or mining towns. When the nearby ski areas opened in the 20th century the Stairs Station was used to power the lifts. Eventually as lifts expanded Solitude and other ski areas needed power from multiple sources. Alta Ski Area like all ski areas has a high demand for electricity to power lifts and what better way than to use the falling water located in nearby rivers. 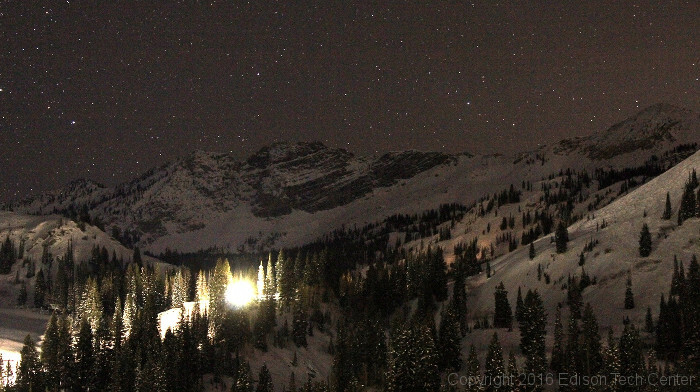 Alta ski area was the first ski area in the Salt Lake Area and opened in 1939. Early ski lifts were often crafted from mining tramway systems. The use of suspended cables to transport people and tools up to mining areas were common and you can see pictures of the remains of the original systems on our Smugglers Union Power Plant page at Telluride. Early ski lifts continue to use a combination of grid power or large diesel engines. 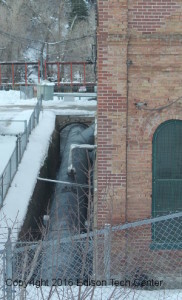 The original installation at Stairs included one 2400 volt Westinghouse Generator (three-phase). 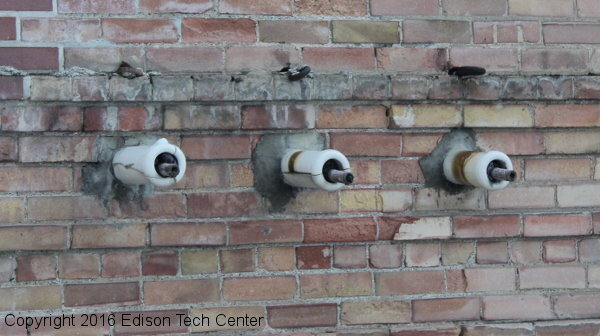 When the generator windings burned up in 1980 the plant apparatus was renovated to modern standards. We recommend you read more about Stairs on this nice little article from HYDRO REVIEW. For now here are some photos I took back in January. The Stairs Station is on our list of activities to help learn about the world of engineering. We recommend you visit the plant and study the layout, then check out Solitude Ski Area up the valley. See how the lifts run and inquire with the staff about how a given lift runs. You will see how our recreational industry depends on the work of electrical engineers to make it all possible. Salt Lake City has a long history of electric trolleys. In the video below you will see our interview with Malcolm Horton on the Brill Bullet trolleys which first were used in Schenectady and then shipped out to Salt Lake for use there. 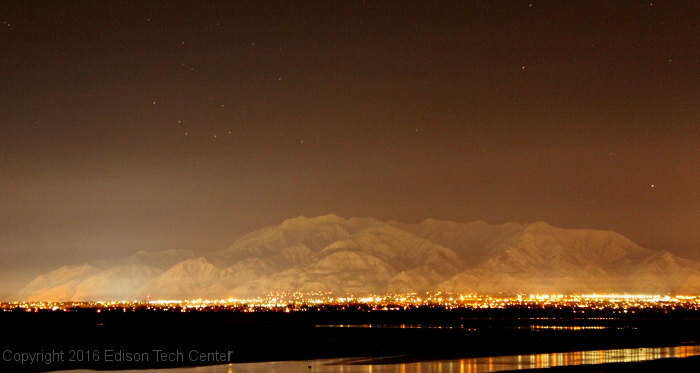 Below: the modern massive power needs of Salt Lake are quite distant from the first days of the Stairs Station. When we started our AC Power History pages a few years ago there was one figure who seems to be the “inventor” of AC power but little information was available about him. 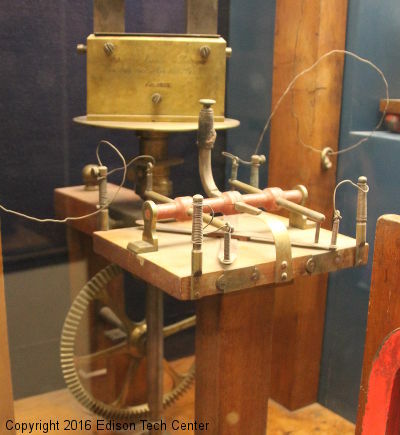 Hippolyte Pixii was the first of the founding fathers of the electrical age (this includes Faraday, Henry, Volta, Davenport and Ampere) to focus on alternating current. Sure, others also “discovered it” but they viewed it as an annoyance because their focus was on direct current. Pixii built a commutator and was able to produce DC current. For the next 40 years this pioneer’s work was largely out of focus. It was in the 1870s that interest in AC power came alive again in Europe. The Ganz Company in Budapest began to use AC power and develop crude systems of delivery. This work caught the attention of Elihu Thomson in the US and Walter Baily in London. By 1882 there were scattered groups of talented engineers working on AC power including Ferranti, Lord Kelvin and others. Contrary to popular myth, Nikola Tesla had nothing to do with AC power development this early, his main contributions came in later in the 1880s while there was already many others racing forward to develop systems. In the last couple years we’ve seen more pages, videos and information come out of the dusty archives on Pixii which is great. 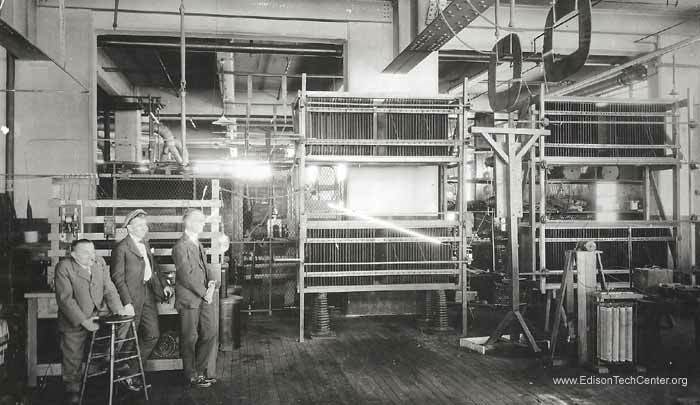 Below we’ve posted some of our pictures of Pixii’s machine. 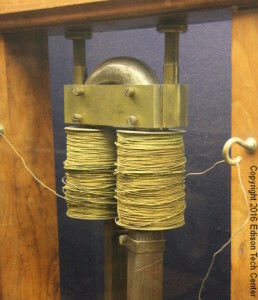 We urge you to check out the electrical history section of the Smithsonian Museum of American History which has lots of cool old replicas and artifacts from 1800s. You can see a replica of Pixii’s machine there. I have also seen some replicas of Pixii’s work at the Deutches Museum in Munich. 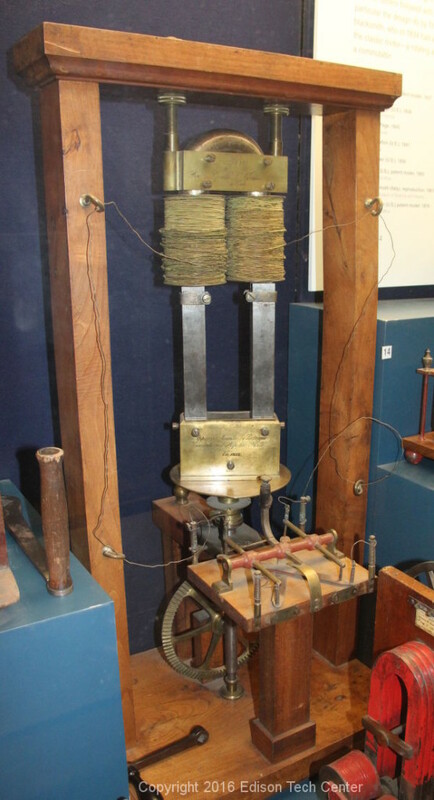 According to some of us Charles Proteus Steinmetz is arguably the greatest unsung hero of the electrical age. Steinmetz represents the major step from trial-and-error methods of electrical invention to the modern age of engineers where math and science are necessary for innovation. 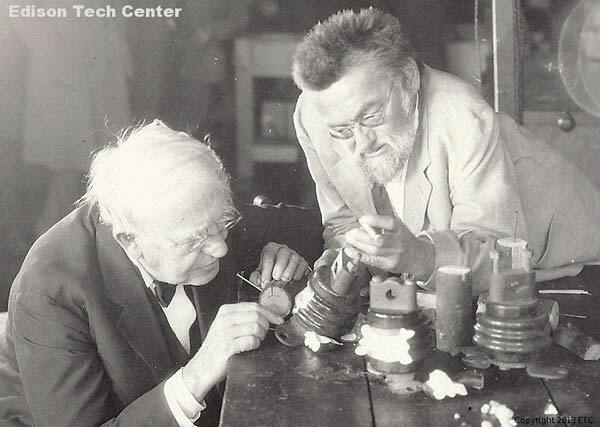 During the 1890s and 1910s Steinmetz was respected as one of the greatest inventors of the age. He attended important scientific conferences and his inventions and opinions guided the largest of companies. Embarrassingly for Westinghouse, Steinmetz was the only one who could solve problems Ben Lamme and Tesla couldn’t figure out at Niagara Falls. Steinmetz’s mathematics drive the very heart of AC power systems design even today. So why have most people never heard of this distinct and spunky cigar-smoking dwarf? We were pleased to hear of the new documentary by WMHT (PBS) on Steinmetz. The path to proper publicity starts with a solid documentary and hopefully we’ll see more about him soon. Here at the Edison Tech Center we have published several basic videos on Steinmetz and included him as part of other biographic documentaries such as Harold Chestnut, Pioneer of Automation. Our webpage on Steinmetz is one of the top when you search for him, and figures indicate thousands of people have used it to learn about his odd fellow.